At this point, we are almost done covering the science behind the baking process. Now, we get to the most exciting part of all: baking! 7. How can I get a soft crust/hard crust? 8. How do I know when my bread is done baking? Wait! First I must confess: this post was a bear to research. Sometimes I felt like giving up. I spent a lot of time thinking about how best to present all the information I had found, and how deep to go into the science. I didn’t want to under- or overestimate my readership. That’s why I finally decided to split this post into two parts. That way it’s not information overload, but it also keeps everything that is important for understanding the baking process. 1. What is baking? When we talk about baking, we are talking about two main things: 1) the crust solidifies and gets brown and crusty. 2) the dough puffs up and the interior solidifies around big holes. But you probably knew that already. What is baking really? Baking is the chemical and physical processes whereby a dough solidifies into bread using heat. During the baking process, the yeast get all frenzied from the heat, release carbon dioxide bubbles, and then die off. The gluten proteins surrounding the gas bubbles coagulate around the bubbles, leaving air pockets. Gelatinization of starches, and water being removed from the surface of the dough, cause a hard brown crust to form. That’s my quick and dirty definition of baking. But there’s so much more to explore. I’ll admit, this is the part of the process that required the most research on my part. There is so, so much going on during baking, more than I could ever include here. If you want to learn more, at the end I’ve included a link to a website that was helpful to me, and it goes into much more detail about the various chemical reactions taking place during baking. 2. What does the yeast do when it’s baked? What does baking powder/baking soda do? As I mentioned in Question #1, yeast DIES when it gets baked. Ok, let me back up for a second. Yeast is a single-celled organism that eats the sugars in the dough and releases carbon dioxide gas as a waste product. This carbon dioxide causes dough to rise. Have you ever noticed that when you let a dough rise in a warm place, it rises faster? Or that if you put a dough in the refrigerator, it doesn’t rise at all? That’s because heat causes the yeast to digest sugar, release carbon dioxide and reproduce more quickly. If you get a chance, check out Alton Brown’s clips on baking, where he demonstrates the yeast life cycle using sock puppets! At the beginning of the baking process, that is exactly what the yeast does – as the dough rises in temperature, the yeast’s life cycle gets faster and faster. Eventually, when the internal temperature of the dough reaches 130 degrees F, the oven is too hot and the yeast get killed off. Which is why oven spring (more on that later) only occurs in the first part of the baking process. What about baking soda and baking powder? Unlike yeast, which are living organisms, baking powder and baking soda are made up of mostly sodium bicarbonate, a chemical. When mixed with an acid such as vinegar or yogurt and heated, the sodium bicarbonate releases carbon dioxide just like the yeast. 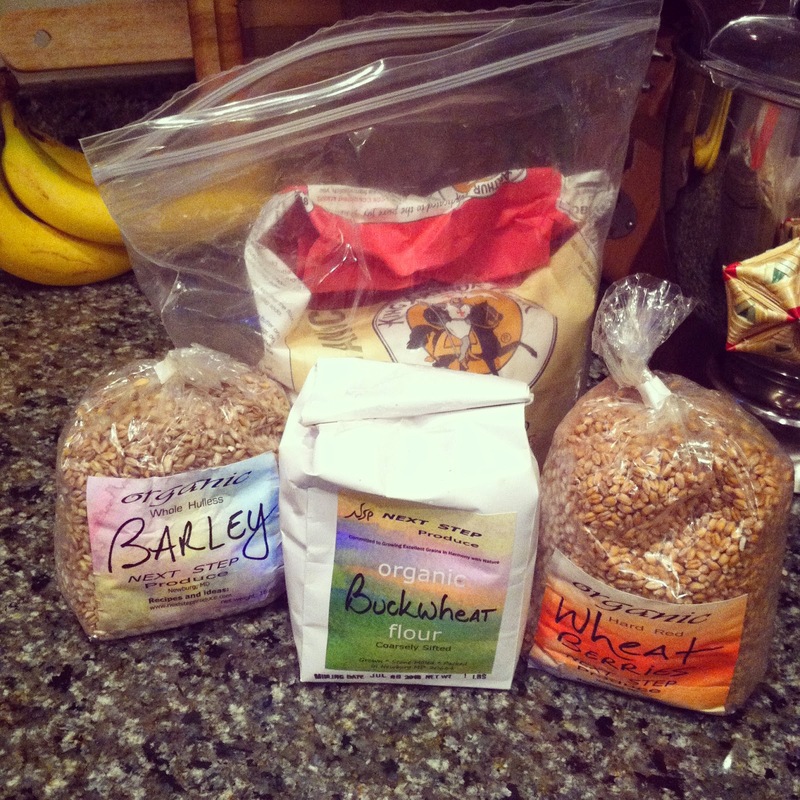 However, because the process is nearly immediate, there is no time for gluten proteins to form. We’ll talk about why this is important in Question #3. 3. What does the gluten do? Oh my goodness, I feel like a broken record when I talk about gluten. As you might remember, gluten is formed when two proteins, glutenin and gliadin, mix with water to form long protein strands. These strands stretch around your dough, creating a taut net that holds the dough together and traps the carbon dioxide bubbles being released by the yeast. No gluten formation = no airy holes in your bread. During baking, these gluten strands coagulate and solidify, much like egg whites coagulate when they are cooked. In fact, that is a good mental picture for the gluten coagulation – think of a fried egg white cooking in the pan, slowly going from liquid to solid form. This is what gives bread its chewy texture. In the same way that egg whites can get rubbery, high protein flours like bread flour or all-purpose flour create breads that are chewier than breads made with whole wheat flour or that include gluten softeners like fats. Quick breads made with baking powder or baking soda must be baked quickly because the chemical reaction between sodium bicarbonate and acid is almost instantaneous. 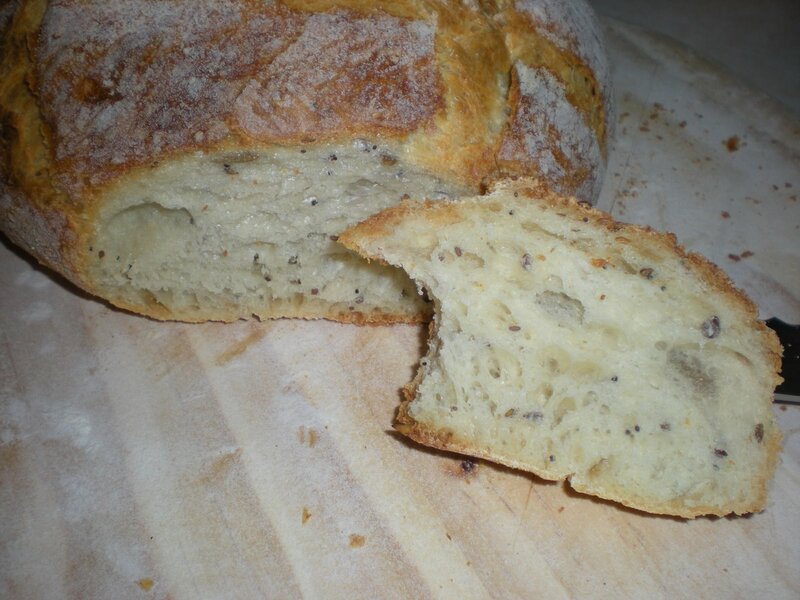 Therefore, no gluten really develops (nor would we want it to – most quick breads are prized for their tenderness and would be ruined by gluten’s chewiness!). These breads tend to be dense because they lack the gluten proteins necessary to coagulate around the carbon dioxide to create air bubbles. 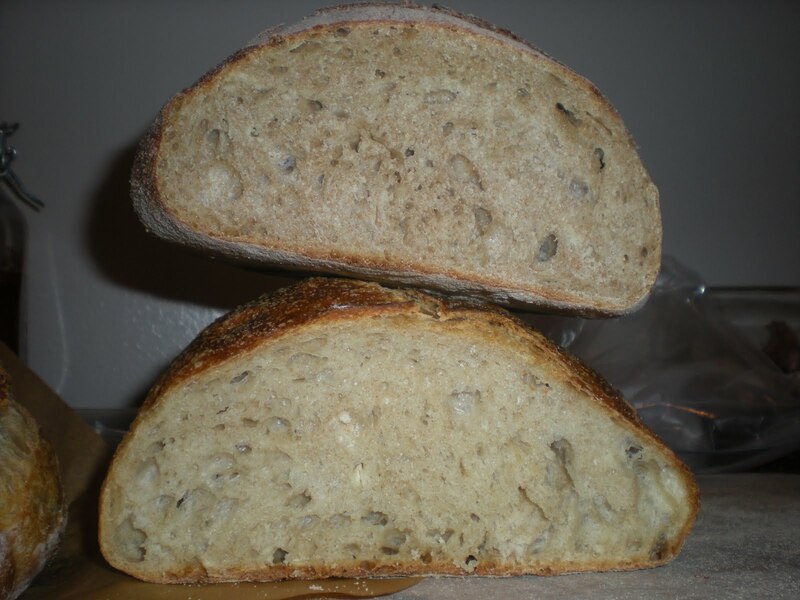 Instead, these types of breads often rely on EGG protein to coagulate and create the loaf’s structure. 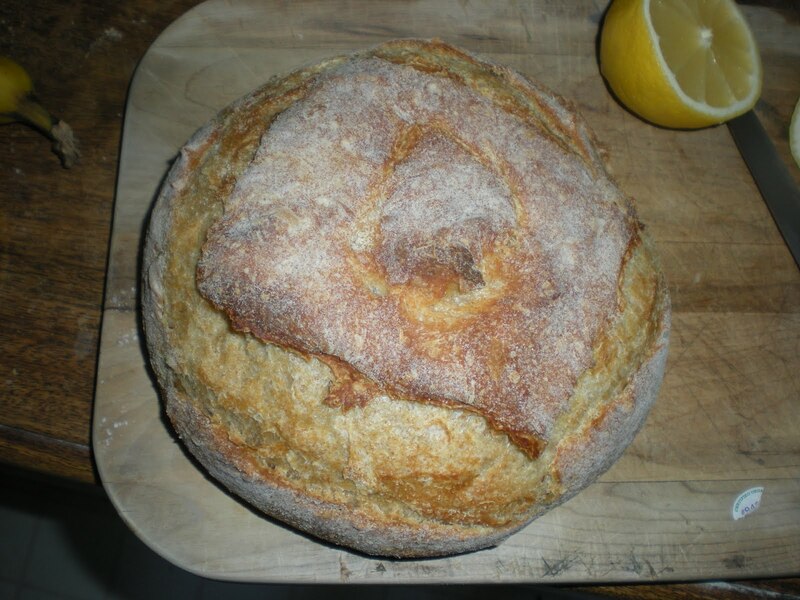 This is really interesting- I had no idea the role water plays in successful bread baking. 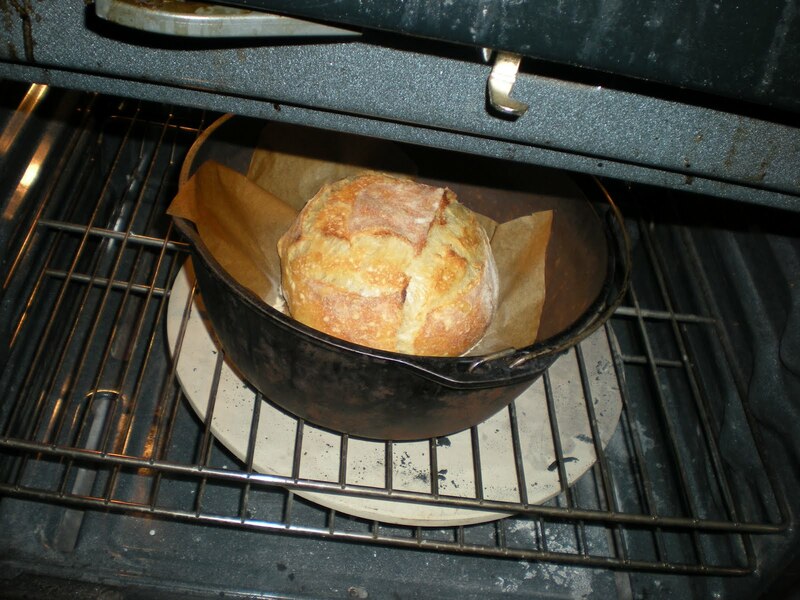 I used to think that oven spring (more on that in Question #5) was caused by water in the dough boiling and releasing steam, but I now know that that is not the case – the bread doesn’t ever get hot enough (212 degrees F) for the water within the dough to boil. It does have a role in oven spring, just not how I thought! 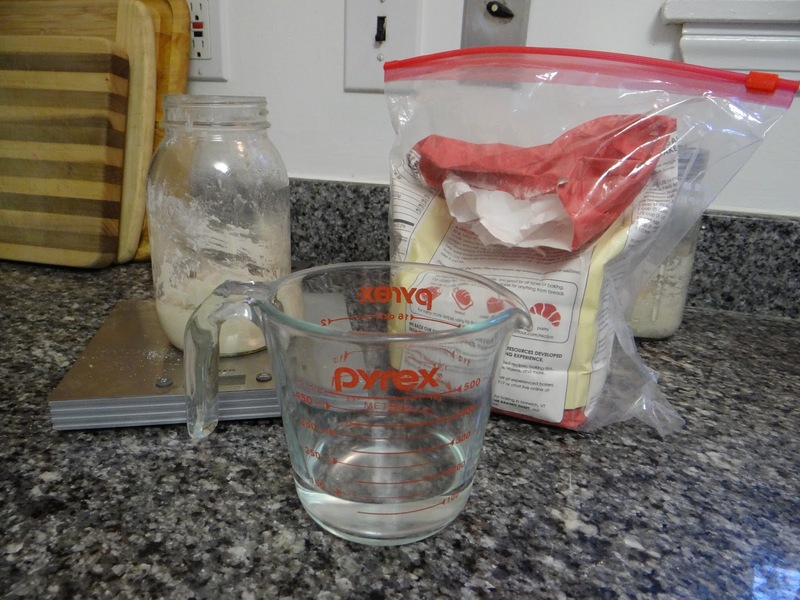 Instead, the water does four different things over the course of the baking process. First, about 5% of the water at the surface of the dough is released as steam. By using my dutch oven technique detailed in Question #6, you can trap some of the steam, keeping the surface of your dough moist to maximize oven spring. Second, the starch in the dough (basically, the sugars) starts absorbing lots of the water in the dough in response to the heat. Where does the starch get the water? From the gluten strands, of course! As the dough bakes, the proteins “denature,” releasing some of their water content. This causes the gluten strands to become rigid. Then, around 122-140 degrees F, the starch molecules burst, releasing their gel (remember, they’ve sucked up lots of water) in between the gluten strands. Where the starch proteins were originally well-structured, the gelatinization process causes them to lose their structure. This gel includes amylase and amylopectin glucose molecules, two of the elements responsible for the browning (also the staling) of the crust. Finally, when the surface of the dough has released most of its water to the dry air in the oven, the amylase molecules, proteins and amino acids from the flour are able to react to the heat to form the browned crust. So in a sense, at this stage it is the ABSENCE of water that makes the difference. So this is the end of The Science Behind…Baking, Part I. For Part II, go here. I hope you enjoyed this very detailed look at baking. The next post, on cooling and staling, will be shorter, I promise!